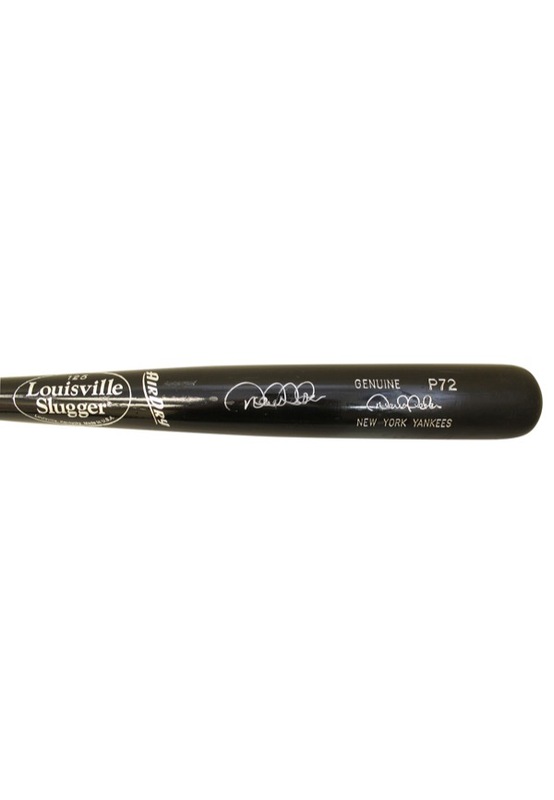 Manufacturer: Louisville Slugger Model Number: P72 Labeling Period: Circa 2003 Length: 34 inches Weight: 31 ounces. Finish: Black/Air Dry. 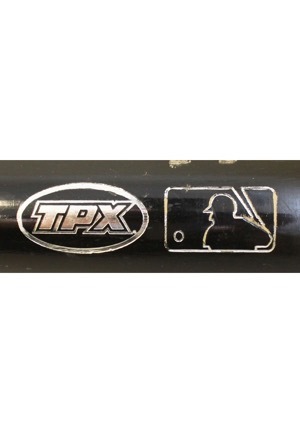 The bat is uncracked and shows evidence of game use with ball marks and cleat impressions on the barrel. 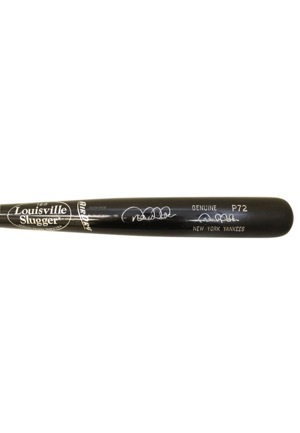 There is a light coating of pine tar on the handle. 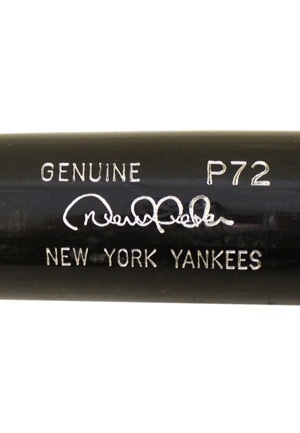 Jeter signed the barrel of the bat in silver marker and in our opinion the signature rates an 8. 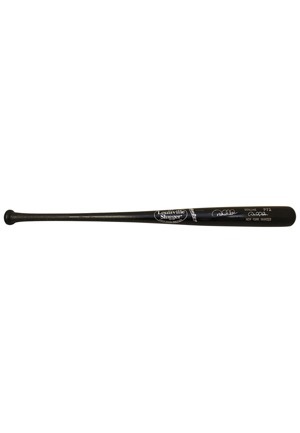 Accompanied by a LOA from JSA, a PSA/DNA Pre-Certification LOA and an additional LOA grading the bat an A9.